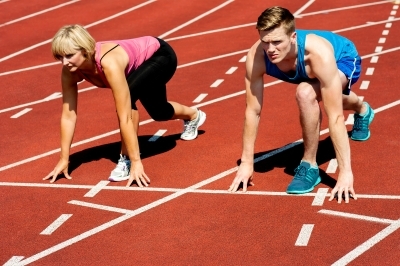 Sprinter vs. Marathoner: How Does Your Organization Perform? There you are, entering the office on Monday morning, thinking of the dozen things you need to attend to before 8 a.m. Your day starts, emails are already piling up in your inbox, and they all seem to be urgent. You answer as many emails as you can and then you look up at the clock. It’s just past 9 a.m. – and you are already late for your first meeting of the day! You are off down the hallway sprinting to the meeting. Sounds familiar? Well, most people in many organizations operate this way. If you have been reading my blog posts, you know this often leads to employee burnout and disengagement, along with high turnover. People often perform like they are sprinting, doing the “important” things, or what seems to be important at that given moment. The fact is that the new global economy has become the “normal” economy, and organizations cannot afford to perform as sprinters if they want to remain competitive and profitable. In order to go the distance and thrive in the global economy, they must become marathoners. Organizations must pace themselves, understand their unique global marketplace and know when to pick up the pace and when it’s OK to slow down. Here are a few organizational “marathon” tips that will help your organization reach its goals and objectives. Great marathoners know the value of pacing themselves through their challenging 42.2-km run. You can do the same in your organization, and when you do, you will start to discover the activities and actions that move you towards achieving organizational goals and objectives. Marathoners start their races off slow, realizing the actual race doesn’t really start until the last few kilometers of the race. Knowing this, they always have a “reserve” in order to pick up their pace as they approach the finish line. When organizations are structured to pace themselves through their daily activities, this creates an environment for people to pick up the pace when they need to meet important deadlines. Marathoners know how long and demanding their race will be. So they spend hours training, eating right, resting and surrounding themselves with other good runners and coaches in an effort to be in a peak performance state come race day. Human performance organizations understand this concept and invest in employee development, ensuring people are well prepared to perform like world-class marathoners. Yes, the technology revolution has created a new world economy that is very fast moving, competitive and filled with opportunities unlike any other time in history. Human performance organizations understand this and have created marathon cultures where their people can pace themselves, pick up the pace and prepare for their best performance. All the best in achieving your highest performance. Get your free special report on the Top 6 Performance Challenges in a Rapidly Changing World and a subscription to our popular Pillars of Performance e-newsletter today. We promise never to share your email with anyone else.